In a style that befits a Viking helmet, the Raven Helmet - Polished Steel makes sure to provide maximum coverage while retaining mobility. This awesome steel helmet is designed with combat in mind and will be sure to protect you! 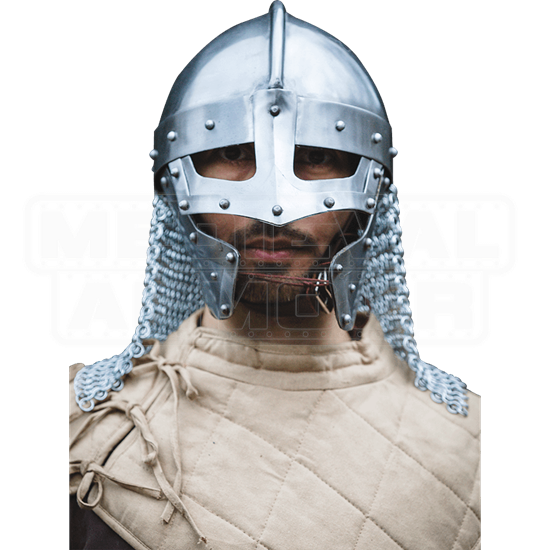 To provide maximum mobility while keeping you protected, this helmet protects your neck with a curtain of chainmail that hooks through holes at the back. Two cheek guard flaps emerge from the sides of the helmet to protect the sides of your face, while a visor protects the front. A buckled leather strap helps to keep the helmet on your head, while a leather string keeps the cheek guards in place. 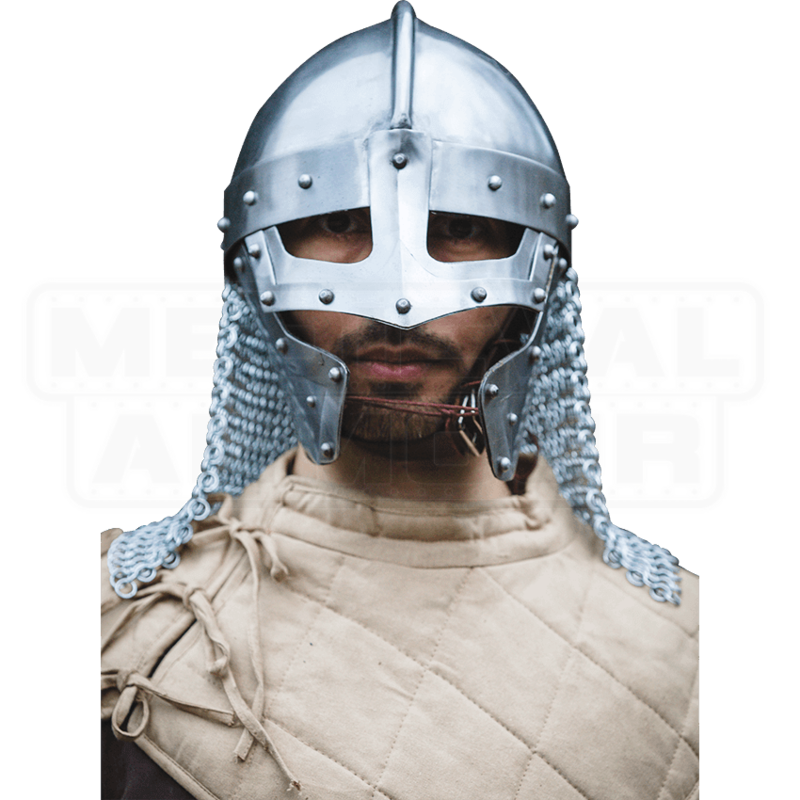 Perfect for LARPing, cosplay, and reenactments, this polished 19 gauge steel helmet will complete any warrior outfit you might put together!